“Fiesta de Camotes” is a promotion of the NC SweetPotato Commission and was funded through the USDA Specialty Crop Block Grant Program. I was compensated for this post, but all photos and opinions are my own. What's Fiesta de Camotes, you ask? It's a month-long party to highlight Hispanic restaurants and bakeries throughout North Carolina featuring sweet potatoes in a special dish. 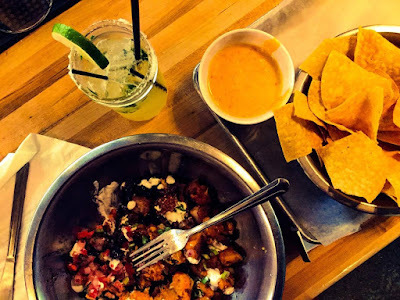 With 22 restaurants and bakeries participating, Fiesta de Camotes’ mission is to highlight the use of sweet potatoes in traditional Hispanic dishes as well as fusion dishes. Each restaurant or bakery will be showcasing their special dish from September 1, 2017 to September 30, 2017. Patrons are encouraged to try sweet potato dishes throughout September at one of the participating locations listed HERE. Fortunately, The Porch, Kitchen And Cantina in Winston-Salem has joined in on the fun and created Saint Martin Supper, a dish to highlight the beauty and joy of sweet potatoes. 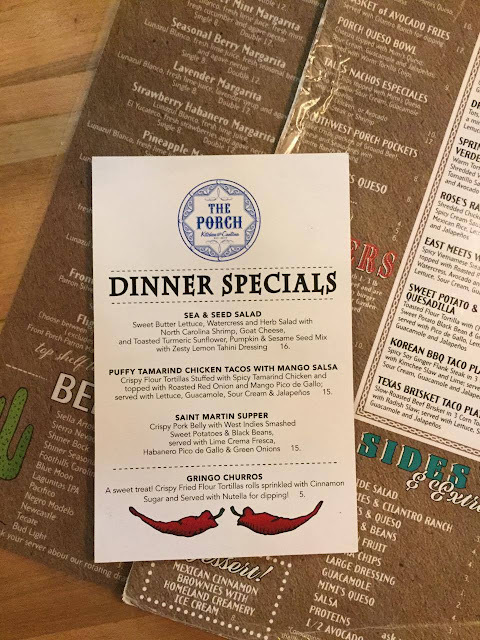 The Porch is a Tex Mex restaurant that started as a home delivery service, delivering "Dinners on the Porch" on select weeknights to families and households in the city. The restaurant is located in the West End Millworks complex and is expanding in 2018 inside the Wake Forest Innovation Quarter to sit alongside Wake Forest Baptist School of Medicine and a host of biotech companies. 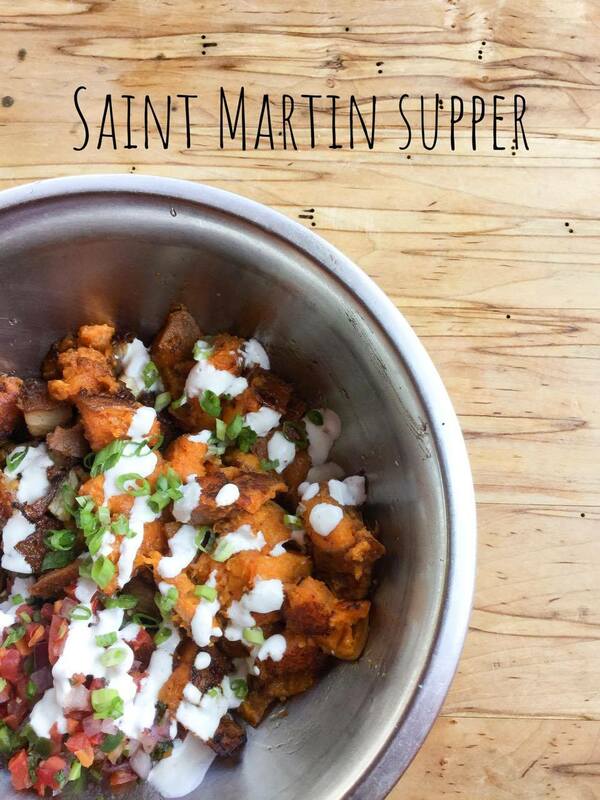 I don't know who Saint Martin is, but I sure do like his supper! Roasted sweet potatoes are smashed with a Pickapeppa Sauce, which is a staple in Caribbean cooking. Wake me up when September ends, because this dish may not be available on the Porch's menu. You can, however, recreate it at home! Ohhhh these look crazy good! This looks amazing and packed with flavors that I love! So glad we can recreate this delicious recipe at home! Thanks for sharing! I cannot tell you how many sweet potatoes we eat every week! I need some new ideas! This sounds great! I love this dish! SO hearty and delicious!